Mindfulness for Personal and Professional Change (MfC) is an 8-week group course designed to cultivate inner resources to support us through times of change. The course also offers a rare opportunity to consider and actively begin to cultivate skills supportive of bringing about change in our personal and professional lives. 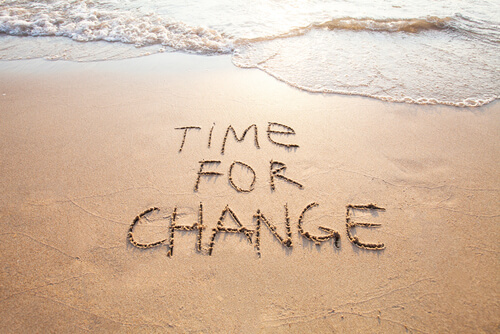 Like it or not, change permeates our lives, personally and professionally. Personally, even the life changes we expect can bring difficulty with each new phase offering its own challenges and opportunities (studying, new jobs, new relationships, marriage, parenting, ageing etc) and that’s before considering the unexpected changes which can blindside us on some otherwise normal day (loss of a loved one, loss of a job, illness, to name but a few). Professionally it can be easy to feel overwhelmed or jaded by what can feel like ceaseless change. Or maybe we are so passionate about bringing about change in our particular area of expertise that we neglect our own well-being or relationships in the process. Our Mindfulness for Personal and Professional Change (MfC) course integrates evidence-based techniques from neuroscience and contemplative traditions. Inspired by the well established and researched 8-week MBSR (Mindfulness-Based Stress Reduction) and MBCT (Mindfulness-Based Cognitive Therapy) courses MfC focuses on change as opposed to health, offering mindfulness as an effective and dependable inner resource to both manage periods of change effectively and to nurture changes we would like to make in our lives. Please note that whilst this course will offer powerful possibilities for transforming organisational approaches to change, within the context of mindfulness-based change these will arise from your own ongoing commitment to a personal meditation practice alongside a continued exploration of your personal relationship to change – please see ‘who is this course for’ and ‘personal commitment required’ below before booking. Regardless, you will understand the level of personal commitment required in cultivating a mindfulness practice – please see below for further details before booking. *Whilst this course, has at its heart a desire to support personal, professional and hence organisational change, please do not be discouraged from attending if you do not ‘work’. It may for example be that you wish to explore a personal life change such as retirement, and how your approach to change may benefit the ‘organisations’ of which you are a part (family, social networks, volunteering etc). Is this the right time for me to attend a mindfulness course? We would ask that if any of these apply that they are clearly stated on your booking form alongside details of the points above. The booking form is also an opportunity to make us aware of any other additional needs you may have. If you are currently receiving treatment for an ongoing mental health problem we strongly advise that you discuss your course attendance with your mental health professional before booking. We would also strongly recommend not making any changes to any medication during or immediately after a course – however well you may be feeling at that time. Instead giving yourself time to fully establish your mindfulness practice and any new routines associated with it before considering subsequent changes with a trained healthcare professional. Please contact the course instructor to discuss any questions or concerns you may have regarding course suitability. They will be happy to discuss your particular circumstances and how you may best be supported during the course. If a course is not felt to be suitable at this time alternatives will be offered including, for example, suggesting healthcare professionals who integrate mindfulness into their work. Mindfulness for Change is not designed to be a “quick fix”, relaxation class or group therapy session. Nor is it simply a meditation class. The goal will not be to be ‘up to speed’ with what might be perceived as the latest organisational development technique or to explore how others might use mindfulness to bring about organisational change (please see question below for those interested in training to teach mindfulness) but to engage personally in learning a valuable life skill offering a wide range of potential benefits. The development of which requires a significant personal commitment both to attending all eight classes and developing a regular meditation practice at home. This includes a commitment to 30 minutes meditation daily for the duration of the course alongside a willingness to explore mindfulness within your day to day life. As each class builds on the preceding week, we would recommend that anyone who misses a class attends a “catch up session”. We are happy to accommodate this in the case of illness etc., but regret that if more than two classes are missed, or two classes in a row, you may not be able to finish the course. Catch ups are usually provided on a one-to-one/small group basis, either prior to or following the following week’s class and take 30 minutes to complete. There is a nominal charge of £15 for this service. We would also strongly advise not missing week 5. We therefore recommend carefully checking the course schedule below before reserving a place. This course will be taught over eight classes from 30th April to 25th June (excluding a break on 28th May). Each class will be 2 hours long and will take place on Tuesdays from 3:00pm to 5:00pm. The facilitator for this course is Sally Roberts. Not a natural candidate for mindfulness, it took chronic illness in 2008 before Sally would consider something as ‘alternative’ as mindfulness! To her surprise embracing mindfulness resulted in significant personal growth. Since training to teach mindfulness in 2012 Sally has had the privilege of sharing many journeys into mindfulness and continues to be inspired by the transformational impact these can have at both a personal and professional level. As a former HR Manager (MCIPD) Sally has particular interests in how organisations equip individuals to manage change and in the conscious cultivation of insight in leadership and human resources.. Workplace examples of the centre’s work in organisations and a thought leadership piece on the role of insight in Human Resources are shared as contributory authors in Chapman-Clarke’s ‘Mindfulness in the Workplace: An Evidence-based Approach to Improving Wellbeing and Maximizing Performance’. We are happy to provide ‘catch up’ sessions for those who miss a class due to illness or emergency – please see above ‘commitment required’ for further details. All our delegates receive “Joining Advice” one week before their course commences. This email will include information on the class schedule, venue and facilities, and a link to our “pre-course questionnaire” which we would be grateful if you could complete before the course commences. In the case that the course is cancelled by The Northern Centre for Mindfulness and Compassion, all course fees will be refunded in full.